Unwind and indulge at Mercure Goulburn. Enjoy a quiet location with fully refurbished hotel rooms and serviced apartments, rejuvenated in a fresh, contemporary design complete with premium inroom technology. Guests are treated to complimentary WIFI, parking and Foxtel featuring a range of news, sports, entertainment and movie channels. 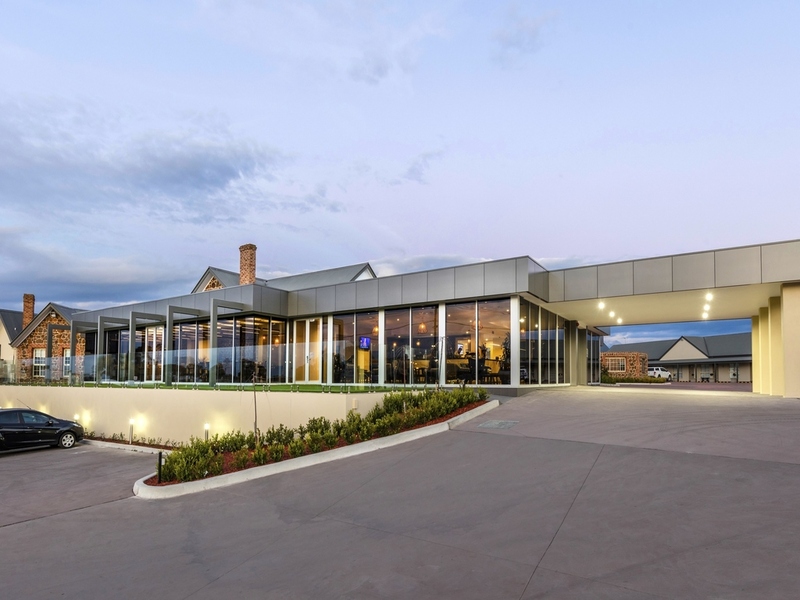 With easy access to local business, shopping and dining spots, and just minutes from the Hume Highway, Mercure Goulburn is the premier hotel in the NSW Southern Tablelands. Goulburn is Australia's first inland city and the hub of the Southern Tablelands in New South Wales. It combines historical charm with modern cultural progress. Meander through the city's local galleries, cafes and significant landmarks. Adjacent to Goulburn's most recognisable monument - the Big Merino! Brand new Reception & Restaurant. Recent renovations throughout! All rooms are newly refurbished with modern fittings such as large Smart TVs and complimentary high-speed WIFI, ensuring a memorable guest experience. The Executive Chef at Edge Restaurant has crafted a menu of local and international favourites, with a preference for local producers ensuring a freshness and vitality to the dishes. Enjoy your meal in the stylish, yet relaxed, setting of Edge Restaurant. Edge Bar offers a relaxed venue for evening beverages. Enjoy a pre-dinner drink from a delightful selection of wine, beer and spirits or join us for a night cap before retiring.